As wage theft continues to hinder the lives of workers, the House Appropriations Committee has acknowledged new solutions are necessary in their most recent hearing on wage theft this past Tuesday. In Chicago alone, a survey of workers in low wage jobs found that 67 percent of individuals who worked more than 40 hours a week, were not paid overtime even though they were entitled to it. This shows just how difficult it can be to enforce wage laws within a state. Enforcing these laws across state lines is even more difficult and is a power that is mainly focused within the U.S. Department of Labor (USDOL). After all, there are limitations on what states and their corresponding agencies can do about wage theft. Illinois Attorney General, Kwame Raoul, established a Workplace Rights Bureau to fight wage theft in his state. Though other states have become more active on labor issues, limited statutory authority persists. Without authority to enforce wage laws, it becomes difficult to defend the rights of workers. “The U.S. Department of Labor (USDOL) is the only public enforcer with the ability to investigate wage compliance issues across state lines,” says Attorney General Raoul. Their role is imperative as new provisions have barred workers from seeking any means of action. In particular, the recent U.S. Supreme Court Decision in Epic Systems, allows employers to force mandatory arbitration agreements to their workers, restraining them from pursuing private action. This leaves the USDOL as their only resource. Clearly, changes in both the state and federal level is necessary. Though a movement toward reform has begun, many states still haven’t taken the proper steps to combat wage theft. In states such as Georgia, Alabama, and Florida there is no state level enforcement to regulate the behavior of employers. As ranking member of the labor appropriations subcommittee, Rep. Tom Cole states, the federal government must play a central role in this issue. Though the Department of Labor has the means and resources to focus on wage theft and related issues, the prioritization isn’t there. Instead, the USDOL has focused on other projects, such as PAID, in which employers can voluntarily self-report any violations. This program is based on the hopes that the employer will voluntarily compensate any wages that were stolen. Consequently, the lack of punishment for employers fails to incentivize any changes in behavior or actions. In the last five years, the Department of Labor has managed to recover more than $4.3 billion dollars; however, according to the Economic Policy Institute, this is hardly 10 percent of the total costs in stolen wages. Wage theft is difficult to track but with the right allocation of resources and prioritization methods, it isn’t impossible for workers to recover lost wages. Laura Huizar, Senior Staff Attorney with the The National Employment Law Project (NELP) and a witness at Tuesday’s hearing, suggests that addressing the importance of compliance assistance is a beginning step. It is also crucial to prioritize strategic enforcement at the federal and state level. She states that it is essential for the USDOL and Wage and Hour specifically to have the resources they need to carry out their mission. Compliance assistance is NOT enough. Given the magnitude of issues that wage theft brings to the lives of innocent workers, adequate funding is essential to invoking any means of change. Congress must allocate the resources necessary to the Wage and Hour Division so they can fulfill their mission. Only through cooperation, adequate funding, and the prioritization of enforcement and better strategic planning, can we begin to properly enforce basic labor protections for all workers. As Congress clocks out for the weekend many members of Congress can be proud of the shifts they put in this week. Two very important but very different pieces of legislation were introduced that, if passed, will improve the lives of millions of people living in the United States. On Wednesday, Rep. Lucille Roybal-Allard introduced the Dream and Promise Act of 2019 which will provide permanent protections for those whose protections were carelessly stripped away by this administration. This Act would provide a clear pathway to U.S. citizenship for people with Deferred Action for Childhood Arrivals (DACA), Temporary Protected Status (TPS), and Deferred Enforced Departure (DED) and others who are eligible for such statuses. Though the bill is not perfect, and we remain committed to strengthening it, it is a big step in the right direction. One very important thing that this bill does NOT do is trade protections for some for increased militarization of our border communities or the detention of immigrant families. On Thursday, Rep. Rosa DeLauro introduced the Healthy Families Act of 2019. This bill would create a national paid sick days standard so workers can take the time they need to recover from an illness, care for a sick child or family member, obtain preventive health services, or seek assistance related to domestic violence, stalking or sexual assault. Nearly 1 in 3 working people (more than 34 million private sector workers) in the United States don’t have access to paid sick days, threatening their financial security, their health, and the health of our communities. Paid sick day laws currently exist, or will soon, in 10 states and 22 other jurisdictions across the country, and evidence shows that these policies are working well. Access to sick time shouldn’t depend on where a person lives or works. Everyone should be able to recover from illness or care for a sick loved one without risking financial insecurity or job loss. Congress took the first step by introducing these two bills and now it is up to us. Take the next step and urge your Representatives to sign-on! We write as faith leaders of national religious denominations and organizations to urge Wendy’s to join the Coalition of Immokalee Workers’ Fair Food Program. Our faith traditions call on us to uphold human dignity and to build a society grounded in the firm belief that we must love our neighbors as ourselves. 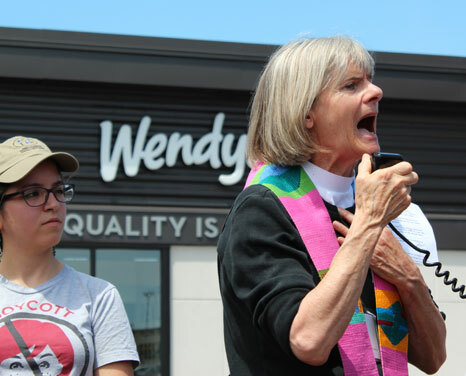 The hundreds of thousands of people of faith we represent view those values as a mandate to stand in solidarity with farmworkers and insist that Wendy’s commit to human dignity and human rights by joining the Fair Food Program. For the last five years, Wendy’s has inexplicably turned its back on farmworkers and evaded this proven supply-chain Program that guarantees farmworkers’ human rights; ending severe abuses such as forced labor and sexual assault and creating respectful conditions of work for tens of thousands of men and women harvesting crops on Program farms. Meanwhile, outside the Fair Food Program, in greenhouses and fields in the US, Canada and Mexico, farmworkers still face well-documented abuses. They and their families and pay a heavy toll in their lives and livelihoods. But instead of joining the Fair Food Program, Wendy’s has gone out of its way to avoid it – pulling its purchasing from participating growers and creating its own Code and adopting traditional corporate monitoring – an approach that has failed for years, the world over. Wendy’s has taken a “trust us” approach, insisting that you can monitor human rights conditions in your supply chains yourselves. But those assurances are no substitute for the transparency and proven results of the Fair Food Program, which is making a concrete difference for tens of thousands of farmworkers. Human dignity, health, wholeness, and lives are at stake. With a proven model at hand, It is simply unconscionable that Wendy’s has done all in its power to avoid participation. We support the moral stand of university students across the nation, who have mobilized to cut Wendy’s contracts with their universities until Wendy’s puts human rights on its menu. The moral arc of the universe – and of human rights for farmworkers – bends towards justice. As we have in the past, we will lend our power and voices and faith leaders to support these efforts, including to continue to engage executives at Wendy’s annual shareholders’ meetings, to march in the sunshine and in the snow, and to bring our congregations to protest at Wendy’s restaurants across the nation. And we support the national boycott of Wendy’s, a boycott that demonstrates the moral urgency for Wendy’s to join the Fair Food Program now. 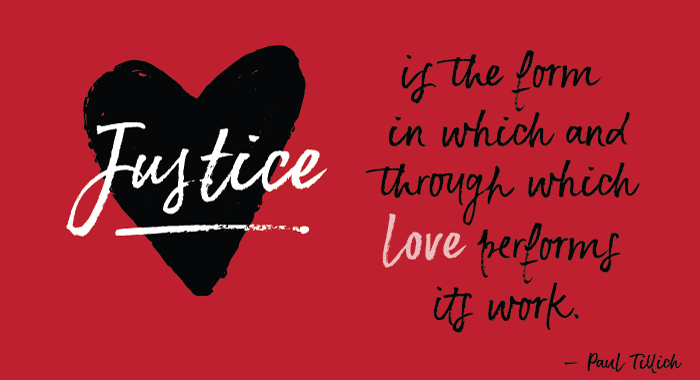 This February 14th, Interfaith Worker Justice asks you to demonstrate a greater love: the love of justice. On the day we normally reserve for romance, fancy dinners, chocolates and flowers, we ask you to spare a moment to help us work for paid family and medical leave benefits. Did you know that the Family and Medical Leave Act (FMLA) leaves out 40 percent of the workforce and guarantees only unpaid leave, which millions cannot afford to take? Unfortunately, this means that millions of Americans can’t provide care when their loved ones are suffering from a serious illness or injury. They are not able to be present when family members need it most. And only 17 percent of Americans have paid leave through their employer so the majority have to choose between succeeding at work and taking care of a sick child, a newborn or an ailing parent. Today, we ask you to express your love not only to your Valentine, but also to workers by contacting your representative and letting them know that you support the Family and Medical Leave Insurance (FAMILY) Act. Will you demonstrate a greater love? By standing with workers who need time off to care for family members, you will work toward justice. By sending a letter to your elected officials, you will demonstrate your love. We can’t think of a better way to celebrate Valentine's Day! 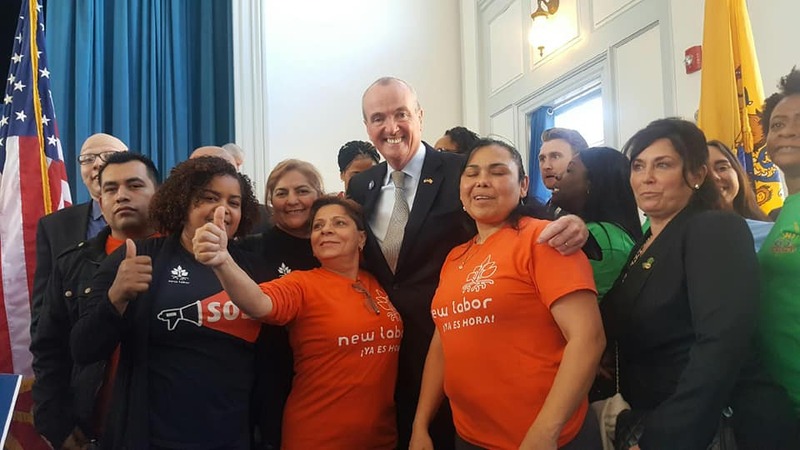 Yesterday marked a historic day for working people in the state of New Jersey. After years of effort, New Jersey became the fourth state in the country to pass a $15 minimum wage bill. This would not have been possible without the tireless effort of dozens of organizations working together to get this done! A coalition of worker centers, unions, and faith groups had workers participate by meeting with legislators, holding rallies, and giving testimonies to the State Assembly and Senate Labor Committees. The intention was for a $15 for ALL bill to include domestic workers; the final bill has carve-outs giving small businesses (with 5 employees or fewer) until 2026 to reach $15, versus 2024 for the majority of workers. “Besides being the morally correct thing to do, this will help local economies as folks have more money for purchases and won’t have to choose between which item is most essential to buy that week because of low wages. It's a step in the right direction, but there is still much to be done. We need it on the federal level too. When we fight we win!” said Louis Kimmel, Executive Director of New Labor, an IWJ affiliate based in New Jersey. IWJ is not only grateful for the work being done on the ground in New Jersey, but also for our affiliates’ work in California, New York, and Massachusetts where a $15 minimum wage bill has already been passed, as well as for our affiliates in the 20 states and 40 counties and cities that also raised their minimum wages. When we work together, working people win! So congratulations to every person and organization who worked so hard to get these bills across the finish line. But the struggle is far from over. There are ongoing campaigns in Congress and in more than 15 other states to raise the minimum wage to $15 an hour. And in most states, we still need to ensure that workers are actually receiving their increased wages by passing anti-wage theft legislation. We can and will make it happen by working together! Visit Why America Needs a 15 Minimum Wage to find out more about the current bill in Congress. You can also voice your support for a $15 minimum wage by becoming a co-signer of the "Raise the Wage Act of 2019". The undersigned organizations write in support of efforts to secure back pay for employees of federal contractors who were unpaid during the recent government shutdown. Just as Congress rightly provided back pay for federal employees who were furloughed or unpaid during the shutdown, Congress should also provide back pay for the contract employees who face extreme financial hardship as a result of going over a month without their paychecks. Over the past few decades, the federal government has contracted out more and more of the jobs and functions federal employees once performed. For every federal worker hired, there are almost two more contract workers hired, for a total of about 3.7 million according to 2015 estimates from the Volcker Alliance. 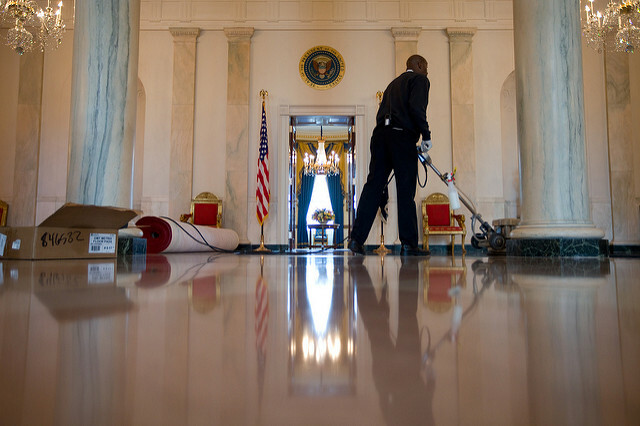 These jobs include the women and men who clean federal buildings, staff cafeterias and concession stands, process payments, and provide vital tech support to federal agencies. These federal contract workers help keep our nation running, even if their paychecks aren’t cut directly by the U.S. government, and they need their paychecks just as badly as federal employees and deserve the same considerations when the government shuts down. As Congress negotiates a deal to secure funding for the rest of the fiscal year, we urge you to do everything within your power to provide back pay for the contract workers throughout this country who have suffered just as grave a financial injury as federal employees did during this shutdown. Equity demands that they too be made whole for the injuries they suffered.